Hey guys, so here's what I have for the rest of the year. Let me know if I'm missing anything. Also, as of now, we haven't submitted paperwork for ANYTHING, so we have to move on some of these if we're going to do them. Survival Expo and Gun Show- August 27th-28th- we did 1 prep show last year, and did very well. Was our 2nd most successful event of the year (1st being Dragoncon), if we want to participate we need to get paperwork in soon. Dragoncon- September 2nd-5th. Security for the Zombie March, tabling, not officially in the parade, but potentially walking with another group. Maker Faire- October 1st and 2nd. We did this last year, demonstrated soda can alcohol stoves, made a few, enticed the crowds with pretty dirty flames and hot clean flames. Would definitely do again, if I can get the time off. Zombie Run- Perry, October 29th- Some of us were planning on running, not tabling. We don't have to race for time or anything, but it would be awesome if a bunch of us could show up and run with our ZS shirts. Sounds like a good time, I've never done a Zombie run/walk/march/anything physical before. Walker Stalker Con- Same weekend (October 28th-30th). We skipped this last year, but said we would revisit it. Thoughts? Stone Mountain Hamfest- November 5th and 6th. We were very warmly welcomed last time, and have been invited to multiple Ham radio events since. The HAM community seems to like us, and I've had a great time at every event I have attended. Would definitely table at this, if I can get the time off. We are also hoping to have a meeting on the third Thursday of every month at Stone Mountain. Might be a bit difficult to do some skills trainings there, but it is centralish and having a set meeting day/time/place makes it much easier for people to plan around it and will help with attendance. That's all I've got guys. What am I missing? What are your thoughts? My world is still kind of one day a time but I will try to attend as much as I can. Not sure where to post this question, so I'll just pull from the most recent "catch all" thread. 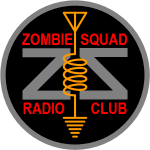 Does anybody here currently have access to our ZSC-016 Webpage, located at http://zsc-016.zombiehunters.org ? It seems it was last updated around 2012. If nobody has access, then it might be worth sending a request up the chain to chapters@zs. Edit: Found the email from last July-October. Keep in mind each reply is 2+ weeks apart. I was wondering how to go about accessing the old ZSC:016 website. Once I get access, I'm sure I'll have all kinds of questions about it, but for the time being I was just trying to get access. The published site is http://zsc-016.zombiehunters.org/, in case that helps. Just wondering if there were any updates on getting access to the old site, or creating a new one I guess, if getting access to the old one isn't possible. It's been a long time since I've dealt with the chapter sites. Let me try to remember jlhow it all works and get back to you. I appreciate you looking into this! have you found anything? We have 2 events coming up in the next month, and I'd love to be able to throw the website on our pamphlets and such. We were wondering if you've found anything out regarding the website. We really want to fix it up and put it on our pamphlets for future events. We've had 3 events over the last couple months, and trying to explain to people how to find our section of the forums hasn't been the easiest thing in the world. Telling them they can check us out at zsc-016.zombiehunters.org would be a lot easier, haha. Hey guys! Have we made any progress? ZSC016 is having its 2016 planning meeting soon, and we want to throw the site on the literature we agree on at that meeting. You should be receiving an email -Redacted- info about getting access to the greater ZS website, not our individual one -. You'll be able to "contribute" articles to the site as the zsc016 user. We don't have chapter sites working, currently. Since the chapter sites aren't running at the moment, is it alright if we made our own? Wix or wordpress or what have you? We just want a really basic informational website with a calendar and a few small things for members who aren't on Facebook, don't do the whole forum thing, but still want to remain connected (without me having to send out more than one email a month). Okay then, we haven't really been told "No" to personal ZS websites, though I'm sure an official blessing could go a long way to making sure it's all above board. Only 4 chapters have taken advantage of this so far. Because this is part of the public facing main site we might not have direct access to it, but we should still be able to write up text and code for an administrator to post for us. As for how the old chapter subdomains probably worked, if it were my site, I would set up a limited access user account with FTP access to only be able to change the subdomain files. I'm sure this account still exists somewhere in the cobwebs of the ZS infrastructure, or could be made again, it just takes a webmaster with superuser rights to go in to the hosting control panel and make the right changes. According to WhoIs, zombiehunters.org has dns through tucows.com and hosting through mediatemple.net, which should easily allow for custom user setups. If nothing else, one of the three listed admins, Christopher Cyr, Kyle Ladd, or Cameron Barfield should definitely have access.